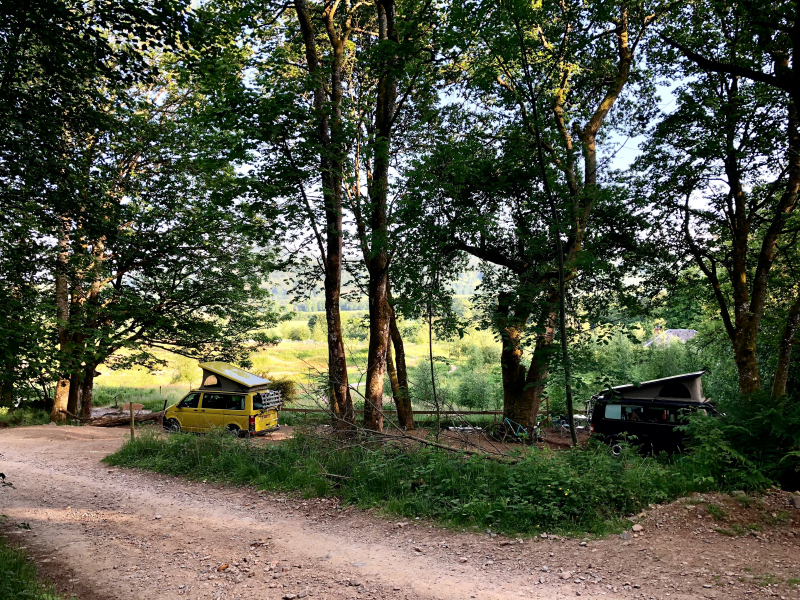 Nestling at the beginning of the camping birch woods you’ll find four campervan pitches. 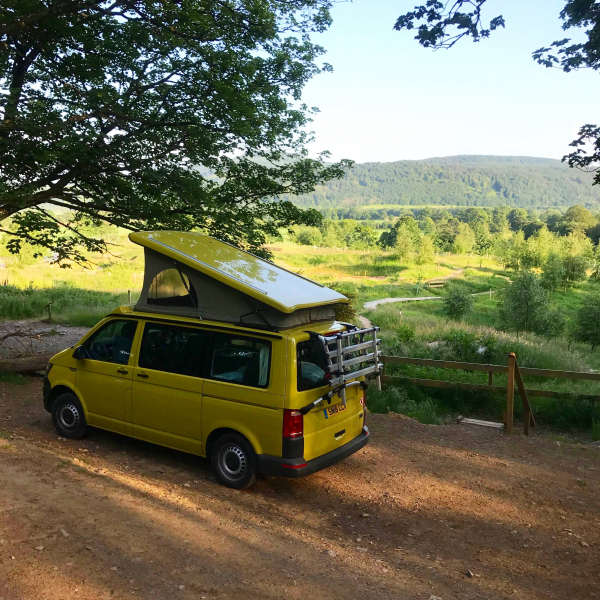 Suitable for small to medium sized campervans (6m long or less) they enjoy stunning uninterrupted views over the valley. Each pitch comes with their own picnic bench and fire pit, making it the perfect place to kick back and relax. The Croft facilities – toilets, hot showers, wash up area and lockers (with electric sockets) are only a couple of minutes’ walk away. Here you’ll also find reception, the Farm Shop and Comrie Croft Bikes. To book one of these lovely pitches either use our online form or give us a wee call on 01764 670140. 2 night minimum booking if a Saturday night is included - unless you are booking less than 7 days in advance. 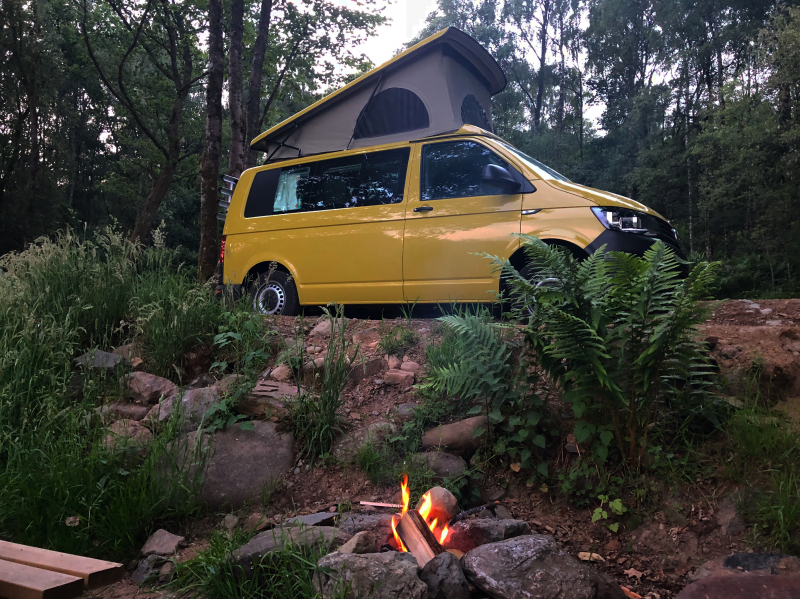 Want to have a wee roadtrip but don't have a campervan, why not hire one? 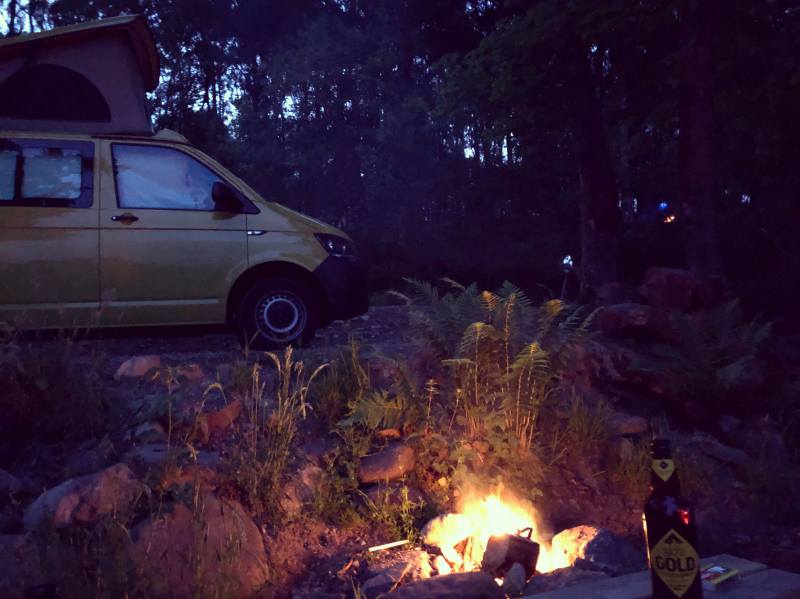 Jerba Campervans hire their own coverted vans, while with Goboony you can hire directly from the owners.